Spending your vacation camping or taking part in other outdoor activities can be a life-changing experience. Nevertheless, you will need expert knowledge on gear and innovative ideas to make it out there. or cover unique and imaginative tips, recipes, and other indispensable aspects of camping and the great outdoors. So, whether you are a man or a woman, a cyclist or a food lover, there will surely be something on the list for you. 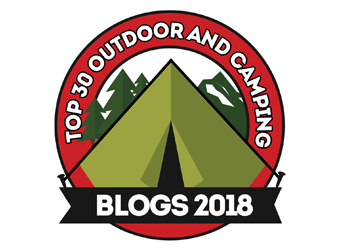 Here are 30 of the best outdoor and camping blogs to follow this year, in no particular order. Sportsman’s Guide is an excellent resource for nature enthusiasts that are interested in hunting and fishing. Its extensive database of expert advice offered via comprehensive articles offers relevant insight into the topic, making the blog a valuable asset for anyone interested in the best outdoors survival techniques. What sets Sportsman’s Guide apart from the crowd is its dedicated Military Surplus section, which offers informative posts and reviews for campers that want to take their gear knowledge up a notch. The website posts on average four times per week, which keeps its audience engaged and interested. If outdoors survival is not your thing, and you just want a relaxing camping trip with your family, then Camping Earth is the perfect blog for you. The website offers interesting tips and detailed reviews of the necessary gear. What is more, you will find quick and easy camping recipes for delicious campfire meals that you and your family will love. Although Camping Earth authors post just twice a month, their content is generally helpful for a wide variety of people. When you are passionate about the outdoors lifestyle, then you need to be in the loop with the latest news and info pertaining to it. Here is where Outdoor News comes in. As the website’s title suggests, it is one of the most extensive sources of camping, hunting, and fishing news. Moreover, the page offers targeted sections to the residents of the states of Ohio, New York, Illinois, Michigan, Wisconsin, Minnesota, and Pennsylvania. It publishes around 42 new posts per week, so that you have the best information on your next outdoor trip at your fingertips. Beyond the Tent is a special blog for camping enthusiasts as it offers many personal accounts about what spending the night in the middle of the untamed nature entails. The site includes comprehensive gear reviews and checklists to run a successful trip. Finally, Beyond the Tent also has its own e-book called the Family Camping Guide. It is free for download after you subscribe to the website’s monthly newsletter. The official blog of the REI Co-op is one of the best sources of information on various types of outdoor activities, including camping, hiking, mountain biking, and more. The website offers expert advice, extensive gear reviews, along with first-hand accounts of life in nature, beautifully written by its dedicated team. There are eight new posts each week on average, but if you focus on a select category there will be less to read. For example, the camping division of REI updates their section with one weekly post. Like a few other names on this list, Elevation Outdoors started out as a print publication. It was initially focused on camping, hiking, and other outdoor-related topics pertaining to the Rocky Mountains area and Colorado. Once it switched from print to online, the official website adopted a wider range of topics. Elevation Outdoors is a celebration of many things that mountain enthusiasts will love, such as sports, gear, music, and other trends. Around eight new posts are published on the blog every week, so if you’re planning a trip to the Rockies, visit it regularly. There are many cliques within the community of outdoor and camping enthusiasts, and cyclists are definitely one. The Bike Overnights blog was created especially for them. If you are a fan of pedaling on the trails and spending one or two nights on the road, then it is the perfect website for you. On it, you will find tips, tricks, detailed guides, and personal stories ripe with worthy advice. Whether you prefer to camp solo in national parks or share a lovely accommodation near the trails with your loved ones, Bike Overnights is a constructive source of information. The Clever Hiker website is the passion project of Dave and Annie Collins, an enthusiastic couple of nature lovers that are always ready to share their experiences and knowledge with their readers. They have been backpackers for most of their lives, which is why their expertise is so valuable. Thus, if you are looking for tips on how to choose a backpacking tent, as well as how to pack lightly and wisely, Clever Hiker is the way to go. What is more, you will also find comprehensive reviews of essential items such as sleeping bags, stoves, and, of course, backpacks. Outside Online is an award-winning website whose main aim is to cover all the principal topics of interest in the field via high-quality journalism. Thus, it offers 42 posts per week on average, which is almost unparalleled in the field. On it, you will find detailed pieces on outdoor sports, as well as the notable people who practice them. You can browse for suitable camping, hiking, and adventure locations, and you can also catch up on essential data on health, fitness, gear, apparel, culture, and environmental issues that are of concern to the nature-loving community. Created by fellow foodie Kim Hanna, the Camping for Foodies blog is an excellent resource for lovers of the great outdoors that are also passionate about delicious meals and innovative recipes. The articles posted on a weekly basis share camping and hiking tips together with ideas for innovative dishes that can be easily prepared with the available equipment. Therefore, if you’ve ever wondered how to add a delightful twist to the food you bring along on camping trips, it is a good blog to consult. After all, preparing delicious food with little to no appliances can be a challenge. Fortunately, Camping for Foodies is here to ease the process for everyone. Even if you’re not familiar with the term ‘glamping’, the Glamping Hub Blog might still be the one for you. The word is a combination of ‘glam’ and ‘camping’, which already makes the meaning obvious even for those who aren’t familiar with the concept. Glampers appreciate spending the night in nature, but they choose to do so in style. Thus, glamping is the more luxurious sibling of traditional camping, and it comes with its own separate set of requirements and necessities. If you are looking for valuable information, reviews, stories, and tips for a glamping trip, then the Hub is the place to visit online. Hammock camping is a lesser known variety that allows for participants to spend the night under the open sky. Although this opens it to some shortcomings, it is a beautiful experience that more and more nature lovers are trying out. The best resource for information on the topic is Derek Hansen’s The Ultimate Hang blog. A self-described hammock enthusiast, lightweight backpacker, and Scoutmaster, Hansen has tailored the website specifically for this activity. Thus, if you are interested, you can find valuable tips and reviews, as well as a handy calculator that will make hammock installation simple for anyone. The Gear Junkie website was launched more than a decade ago, back in 2006. As the name suggests, it is a publication dedicated to equipment reviews, as well as appraisals for other outdoor products of interest. Through its thousands of pages, you will also find travel and camping stories, news, as well as high-quality videos and original photos of beautifully unique places around the world. Its 34 weekly posts also contain fun giveaways that give those passionate about the outdoors a chance to win a wide array of useful items. For those who appreciate the grittier and tougher aspects of the great outdoors, Outdoor Life is the ideal resource for comprehensive and educational information. It is mostly focused on hunting and fishing tips, with the website having dedicated sections for each activity. Nevertheless, it is also the place to go for other detailed tips and tricks, such as rifle reviews, gear appraisals, or survival advice. In fact, there are dedicated sections on the homepage for these topics as well, entitled ‘Guns’, ‘Gear’, and ‘Survival’. Camping Tourist is the quintessential website for extensive articles related to this wonderfully fulfilling activity. 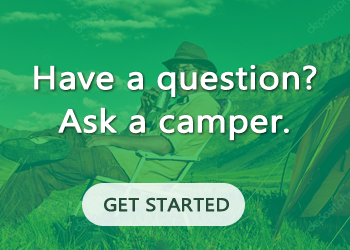 With an average of one post per week, it manages to provide its readers with useful information on camping activities, safety, equipment, spots, and gear, as well as reliable tips for any situation you might encounter in nature. It offers a general overview of what it means to spend one or more nights in the middle of nature, from various points of view. For this reason, it is most suitable for beginners who want to achieve a deeper understanding of the activity before venturing out on unknown terrain. If you live in Australia, then you’re already familiar with Snowys. The beloved camping, hiking, and travel gear store first opened in the mid-1990s in Adelaide and has expanded to several locations across the country since. Even if you don’t live in Australia, you can still enjoy some Snowys-approved tips and reviews on the shop’s official blog. It is the ideal website for anything related to travel, hiking, camping, 4WD and RV touring, walking, and other types of outdoor adventures. AllOutdoor is a versatile website for avid nature lovers, as it provides expert advice on topics such as hunting, fishing, and survival, as well as systematic product reviews for the latest gear and equipment. In addition to this, the website has a dedicated do it yourself section where you can learn how to perform various tasks on your own. Mastering the intricacies of DIY is essential if you want to live comfortably while on a camping trip, which is why accessing articles on the topic can be beneficial. If you are looking for camping and hiking advice that is suitable for all ages, then you should take a look at the Section Hiker website. The informative articles posted five times per week offer valuable insight into the world of outdoor activity, while promoting a safe and pleasant experience for anyone who is interested in exploring nature. The main page for RVC Outdoor Destinations offers a wide array of vacation spots that are owned and operated by the company. However, the blog expands its scope of interest beyond beautiful and picturesque spots. On it, you will find all the general information on camping, hiking, and travel you might need, which is ideal when you are a beginner in the field. Spending time with your family outdoors and soaking in the raw beauty of nature is a wonderful experience. And although it can be a highly educational experience for everyone involved, things can become complicated when you have children around. How do you keep your little ones happy and entertained during a camping trip with no television and no Wi-Fi? Fortunately, the Get Out with the Kids blog can help you plan the vacation of a lifetime in the natural world, complete with tips on how to keep kids engaged and happy. Even if you spend just one night out there, or more, you’ll be all set. Even though a camping trip eliminates the costly nature of finding accommodation in a hotel or hostel, it can still turn into a rather expensive affair. For this reason, knowing how to plan your trip on a budget can be essential when you’re short on cash. This is exactly the type of knowledge you will find on the Frugal Frolicker blog. Even though the website deals with traveling on a budget in general, it also has plenty of useful outdoor tips that you can use on your next camping trip. As a bonus, you can take a look at some stunning travel photos that will get you in the mood for exploring the world. Camping with Style is another glamping blog perfect for anyone looking to combine elegance with the pleasure of the great outdoors. On it, you will find reviews for deluxe camping items, such as sleeping bags, tents, RVs, cookware, and so on, as well as ideas for Instagrammable locations for your next trip. Simply put, Camping with Style is the ideal resource for the chic traveler that wants to experience the beauty of untamed nature, while maintaining a certain level of comfort. It comes at a higher cost, but when you’ve got the budget for it, it can be a wonderful experience. If you reside in the Southeastern region of the United States of America, or you plan to travel there for your next camping trip, then Blue Ridge Outdoors is the blog for you to read. It covers everything you might need to know, from hiking in the Appalachian Mountains to biking on the Blue Ridge. Anything happening from the Highlands to the Piedmont has been covered in the magazine over the course of the last 20 years. The publication has successfully transitioned online as well, which only increased interest in Southeastern and Mid-Atlantic hikes. Modern Hiker, as its name suggests, is a handy website for the contemporary nature lover. Its blog is full of efficient and applicable tips on many topics, and it has a separate section for gear reviews as well. What is more, you can also search for the perfect location for your ideal hike on it, and find it based on criteria such as scenery, pet-friendliness, and so on. 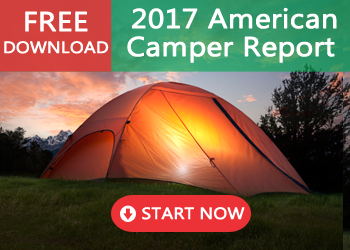 Self-dubbed “the camping authority”, the 50 Campfires website is a great source of general information on the topic. It offers articles that cover a wide range of topics, such as camping gear, outdoor tips and tricks, cooking hacks and recipes that are suitable for a natural setting, and location advice on how to choose the perfect scenic spot for your next adventure. Trail Journals is a unique blog for hiking and camping enthusiasts. It is a community of active hikers and journal writers sharing their personal experiences. The project was founded by Mat “Leif” Olsen in 1998, when he was deep within the wilderness of the Appalachian Mountains. Currently, the page has 521 journal entries, as well as over one million original photographs. By their powers combined, they have amounted up to 5,890,000 miles of hiking. Thus, if this is something you are interested in, the website is a valuable resource for first-hand accounts that can teach you all about the hardships and fulfillment that come with survival. Camping doesn’t always involve a tent. When you are committed to the lifestyle, you most likely already own an RV. The Good Sam blog is a wonderful source of information for recreational vehicle owners, as it provides maintenance tips, as well as other useful advice. And it also offers its readers discounts to over 2,000 campgrounds, which is a huge plus. Outside Pursuits is one of the leading gear and equipment review websites for the field of camping and hiking. These appraisals are based on expert knowledge and opinions, which makes them all the more valuable, as well as a reliable ally in choosing what to spend your money on. And as a bonus, it is also a resource for outdoor sports enthusiasts. The Let’s Talk Camp blog powered by the Active Network is the ideal resource for parents, as it provides extensive information on children’s camps and other similar programs. If you want to get your little one interested in the great outdoors, it is a good place to start. Inspiring your little ones to love nature from an early age is essential for their harmonious mental development. What is more, spending time outside and interacting with flora and fauna is a great way to nurture your child into a better future. Even though camping isn’t a gendered activity, it’s important for women to have a place where they can share their passion for the great outdoors, as well as find reliable advice on how to cover their specific necessities. This is why the Camping for Women blog was created. It is a website where women can share their adventures and find useful tips on planning their next camping trip. Due to this mutual goal, an enthusiastic community has been created, and it will continue to blossom in the future. It’s no secret that a reliable camping tent is the number one piece of equipment you need when spending the night in nature. A camping trip with the kids will benefit from a family tent, while a bad weather tent will keep you safe and warm even in the most extreme conditions. When you’re hiking on a budget, nothing quite beats the appeal of a camping tent. And if you’re looking for something with tradition, Coleman tents make great additions to the arsenal of any devoted nature lover. For extensive information on this type of gear, as well as other relevant pieces of equipment, innovative recipes, DIY tips, and many more, you have the aforementioned blogs at your disposal. Bookmarked these blogs, it seems I have a lot of reading to do. Except for the packing and actually pitching a tent there’s also the whole survival guide, I want to be prepared just in case. You never know what can happen.